Blind source separation for an under-determined system is particularly challenging because of the non linearity introduced by the masks used in the separation. An under-determined system means the number of observations is less than the number of desired signals. The problem becomes more challenging for wide band signals such as speech signals which are not totally separable. 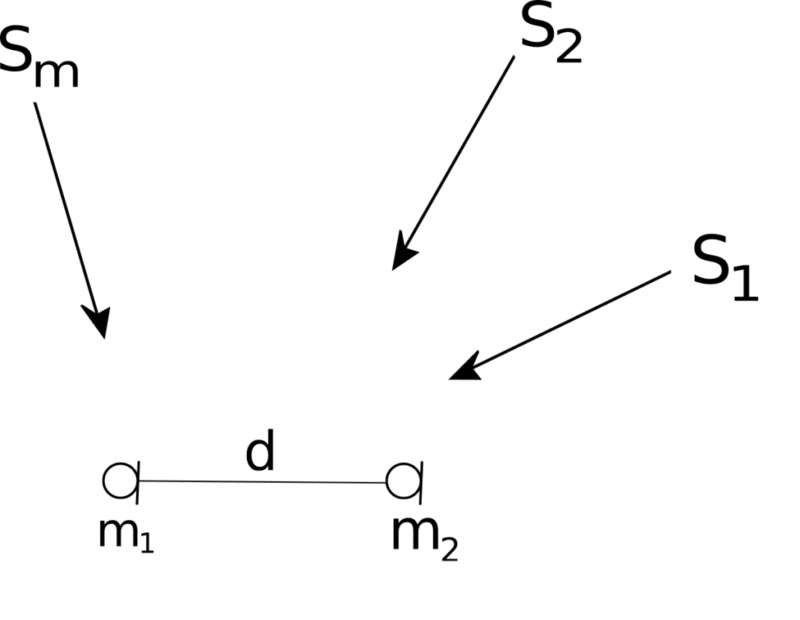 Techniques utilized in BSS of under-determined systems use clustering of a feature space to do the separation. Such techniques require at least two sensor measurements. Features such as direction of arrival and spectral sub-band energy levels are used to discriminate the desired signals. Perfect delineation is possible in an an-echoic chamber but difficult to achieve in reverberant environments. for some . Estimates of the pair can be used to form clusters which are then used as a mask for source separation.